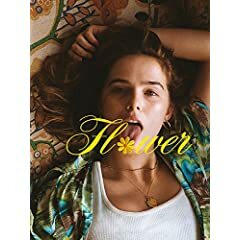 “Zoey Deutch [gives a] magnetic performance” (Frank Scheck, The Hollywood Reporter) in Flower arriving on DVD June 19 from Lionsgate. Featuring all-star comedy veterans Adam Scott, Kathryn Hahn, and Tim Heidecker, this coming-of-age film tells the story of an outspoken rebellious teenage girl who conspires with her new stepbrother to expose a high school teacher’s dark secret. “Entertaining from start to finish” (David Ehrlich, IndieWire), the Flower DVD will be available for the suggested retail price of $19.98. A rebellious, quick-witted teenage girl (Deutch) conspires with her troubled stepbrother to expose a high school teacher’s (Scott) dark secret. - Zoey Deutch - Before I Fall, Why Him?